WASHINGTON – A letter from a U.S. Capitol Police officer contains a series of bombshell revelations in the case of Miriam Carey, the unarmed, black, single mother who, with her one-year-old daughter in tow, was chased and gunned down by federal agents in the heart of the nation’s capital, after apparently doing nothing more than making a wrong turn at the White House. 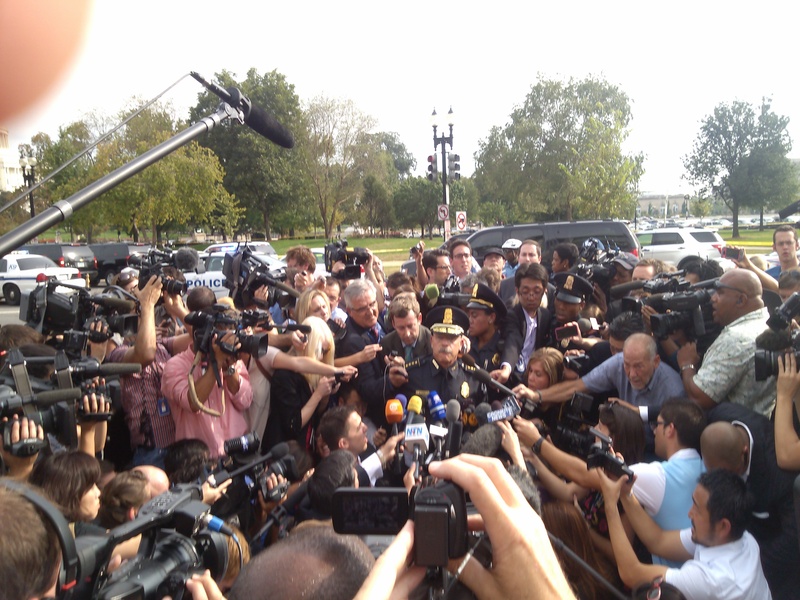 Capitol Police officers believe Carey was murdered. Officers on the scene were made to change their statements. Officers had never seen an investigation handled in that fashion. Officers expected the government to stonewall inquiries into the case. The Capitol Police chief and assistant chief were so uncomfortable with the case that the former considered resigning and the latter actually did. The letter substantiates much of WND’s reporting and contradicts much of the official version of events, including the contention there was insufficient evidence to bring criminal charges against officers for Carey’s death. WND has spent two-and-a-half years attempting to crack an official stonewall in the shooting death of Carey by Capitol Police officers and Secret Service agents on Oct. 3, 2013. WND has published more than 80 stories on the Carey case, including three-dozen investigative pieces revealing so much damning information that civil liberties experts concluded she was, in effect, murdered. Mainstream media incorrectly reported Carey tried to breech White House security by ramming a gate, then ran over an officer and sped away. WND is represented in federal court by the government watchdog group Judicial Watch and is currently engaged in a legal effort to compel the Justice Department to turn over documents that would definitively show whether the killing of Carey was justified, or not. Revelations in this letter bolster WND’s contention that federal officials are covering up the truth of the Carey case and that her killing was not justified. Capitol Police Chief Kim Dine holds Miriam Carey shooting press conference on Oct. 3, 2013. WND photo by Garth Kant. Carey was shot and killed by Capitol Police officers and Secret Service agents, who fired 26 rounds, hitting her five times. Three bullets hit her in the back, one in the arm, and one in the back and side of her head. She turned into a White House guard post at the 15th and E streets apparently by mistake because the first thing she did was make a U-turn to leave. For some unexplained reason, Secret Service agents tried to prevent her from leaving. It is illegal to try to enter White House grounds but it is not illegal to try to leave. After Carey drove around a bike rack an off-duty officer dragged in front of her car, she departed towards the Capitol on Pennsylvania Ave. at what turned out to be an average of 19.5 miles an hour, even though the Justice Department claimed she hit speeds of up to 80 miles an hour. Also for some unexplained reason, federal officers chased Carey, firing a volley of bullets at her car at Garfield Circle, and firing another volley just blocks from the Capitol, killing her while her infant daughter was in the backseat, showered with glass and covered in blood. The investigation into the shooting was conducted by the Metropolitan Police Department of Washington, D.C. It was reviewed by the U.S. Attorney’s Office for the District of Columbia, a branch of the U.S. Justice Department. So, WND filed a Freedom of Information Act, or FOIA, request for the report. The Washington Metro Police Department refused to turn over the report. WND successfully appealed to the Washington mayor’s office and obtained the report, then published a five-part series outlining all the bombshell material it contained. However, much of the report was redacted, or blacked-out, so WND filed a FOIA request with the Justice Department for its review of the investigation, including its analysis of the evidence and the findings that led to the decision not to file criminal charges against officers. After months of stonewalling, the Justice Department agreed to provide its report, once Judicial Watch sued the department on behalf of WND. WND then published a three-part series outlining the many new disturbing revelations found in that report. However, the Justice Department had failed to turn over the key items WND had requested. One was the surveillance video of Carey at the White House guard post and the video of her shooting. The other was a 96-page memo containing the findings of the police report and analysis of the evidence. WND, again represented in federal court by Judicial Watch, is currently asking a federal judge to compel the Justice Department to turn over that material.